Don't let these curves fool you, this product is robust. No CD mechanism means this unit is one of the most reliable around. She may look delicate, but she knows how to play what you like with USB and Aux-in functionality. RDS Tuner with Illuminated Front USB and iPod and iPhone Direct Control. Supports WMA/MP3 Playback. Android Media Compatible Powered for portable music. Get pristine sound from the MVH-160UI's built-in amplifiers that deliver 4 x 50W of pure, proven MOSFET power. For even more power you can use the 2 RCA pre-outs to hook up another stereo component, like a subwoofer or an extra amp for the rear speakers. Get the most out of your mobile music library with the MVH-X360BT thanks to the front USB and Aux-in. With iPod and iPhone Direct Control, you can connect your device straight to the unit’s USB terminal to enjoy superior sound. As a handy extra, your iPod or iPhone will charge while connected. Media stored on selected Android smartphones can be accessed via USB. You can use the Aux-in or illuminated USB to enjoy music stored on a portable device, like a USB stick. If you need a basic HU with great sound quality this is the one. Will this unit support an electric aerial? 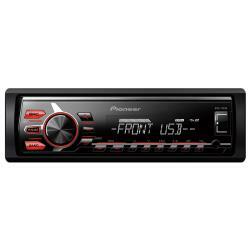 This Pioneer MVH-160Ui can support a electrical aerial. will this fit with a single din adapter? hi there, yes the MVH-160UI will fit your toyota celica with a din adaptor. Looking for something to play my iPod or iphone. Hi will this fit in my car? Its a 2006 model. 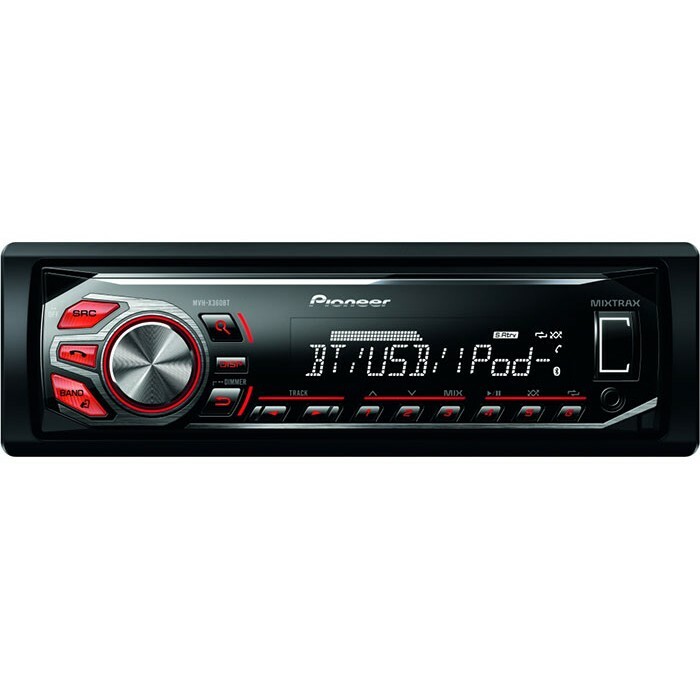 Will the stereo fit in my car? will this fit a Renault megane oasis?? hi yes the mvh 160ui will fit the megane some parts will be needed for the fitting if your car has the steering buttons . Do you sell a harness to allow this to fit A 2004 Zafira with steering wheel control support? Hi, can you let me know if this will fit my Ford Focus (2010 model) The current panel looks much larger than this. Sorry i thought I had, will this stereo go right in? 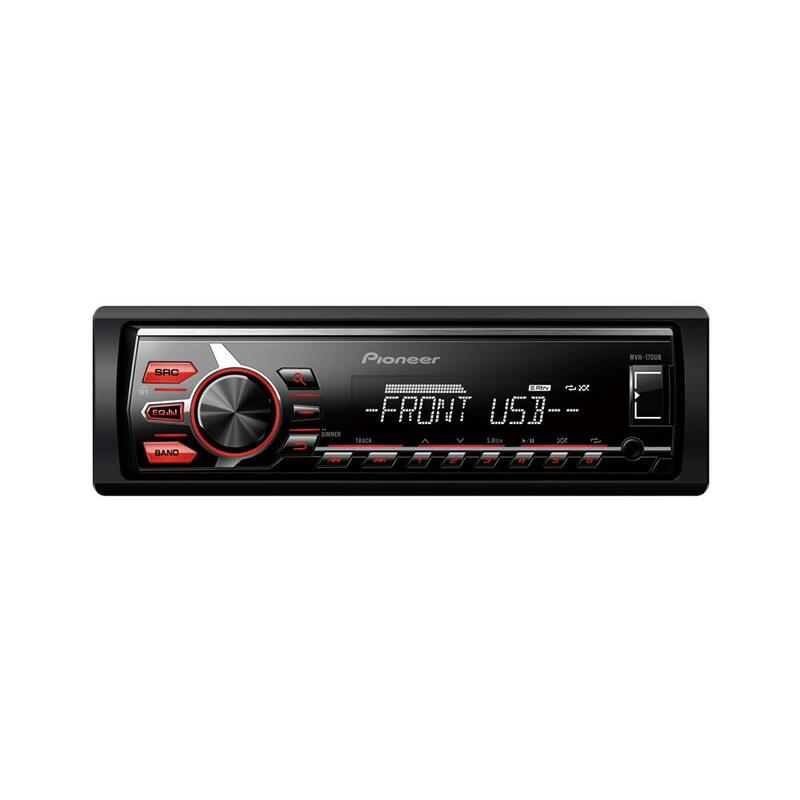 Hi, what will be the fitting costs of this radio for 2004 Fiat Panda, and will i need anything extra? hi there for a fiat panda you will require a fascia panel and also an aerial adapter to fit this pioneer unit into your car. How do i know if this stereo will go straight in? if not what else would i need? You have not listed what car you have. We have an old (1999) Toyota Starlet - would this unit fit? Do you do fitting and if so, how much does fitting cost approx? what else would i need to fit this into my car? Hi, to fit the MVH160UI in to your punto you will need some parts, You will require a fascia panel and aerial adapter. You will not need a harness unless you have steering wheel controls. We have listed the parts below for you.